Day 15 #TKTKM @charlesdmnene on the green…. 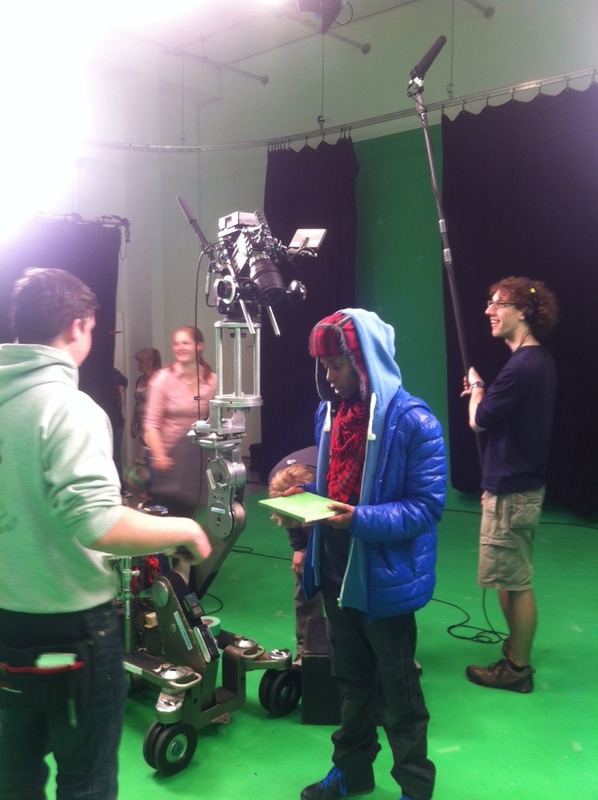 I have been asked on several occasions – why are we working and making ‘The Knife That Killed Me’ entirely in a green screen studio? Not all scripts would work in this environment. So why this one? We have adapted the screenplay from Anthony McGowan’s novel – which is a brilliant first person narrative structure. This lends itself to the whole piece to be about the central protagonist, Paul Varderman – and his memory. So we are able to create his vision of events, as he remembered them. This is important in the artistic and directorial vision of what we are creating with Kit Monkman and Thomas Mattinson. There is a sculptural and almost painterly interpretation of the scenes that we are able to create, as the images we are seeing are being drawn from his head and memory about what happened. So for this film the green screen allows us to place images in post production with the VFX team that help Paul Varderman to piece together the chain of events. When you think of your own recollection of events – what do you remember? What stands out in the foreground? What sounds do you remember? What incongruities are there too? Who else was there? What were they wearing? Are you sure? Do some other images find their way into your memory and cut across your picture? So this is an amazing adventure and it is allowing the whole creative team to input into the project as the ideas around lighting, camera movement and design to work with the post visual effects team. So not all movies would work in this way, but this is what we have been planning and the technology available is now allowing us to develop the process and the project. 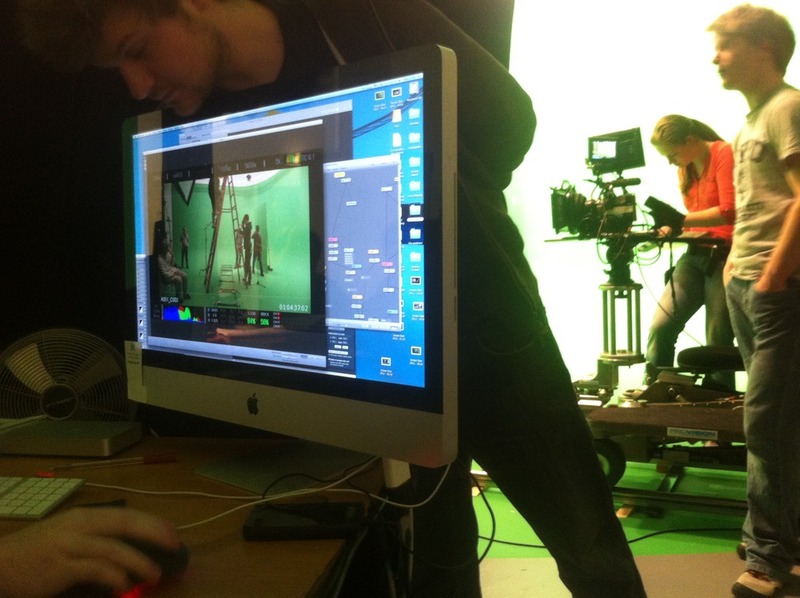 We have two and a half more weeks of shooting – we are half way through the live shoot. The VFX team are keying the footage and at the end of each day – with a rough assembly edit we can not just check the rushes – but the coverage and story of each scene we have shot that day. The locations, images and worlds we are able to live key and ‘ghost image’ check positions of actors in multiple passes on the studio floor as we shoot. So lots of work to do. But very exciting times – and in other news, I am learning shed load of new stuff…which is a real privilege and I am enjoying working with the whole team immensely. The boys are back in town – well at least for today as they were put through their paces with Stunt co-ordinator Philip d’Orleans and his team. 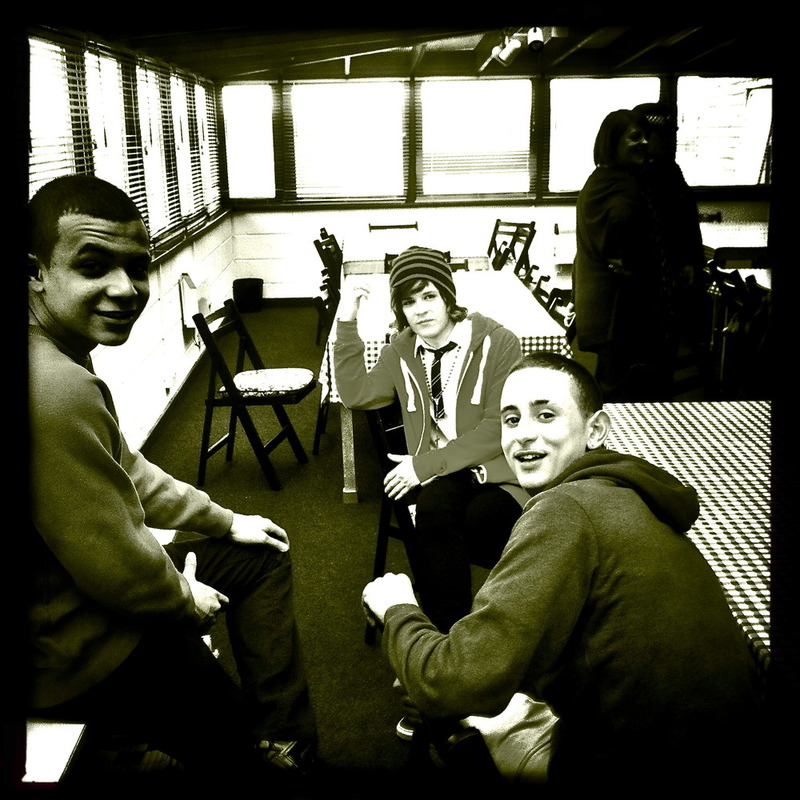 Having shot the sick-bay scene Oliver Lee (Shane) joined Reece (Mickey) and Tom (Tariq) for a break. It was great to have them back on board again, and also to catch up with Charles Mnene too who is playing Goddo. We are now at the halfway point in the shoot. Hard to believe in many ways I know. We are gearing up for a big week next week and an even bigger day tomorrow, This will be our busiest so far with over 70 people in and working tomorrow. I am also looking forward to welcoming Mandy Smith, Katie Posner and Tom Bellerby from Pilot Theatre in – it will be great to see them when they join us for lunch. So, homework done, shot lists gone through on the database, and an early night for me. 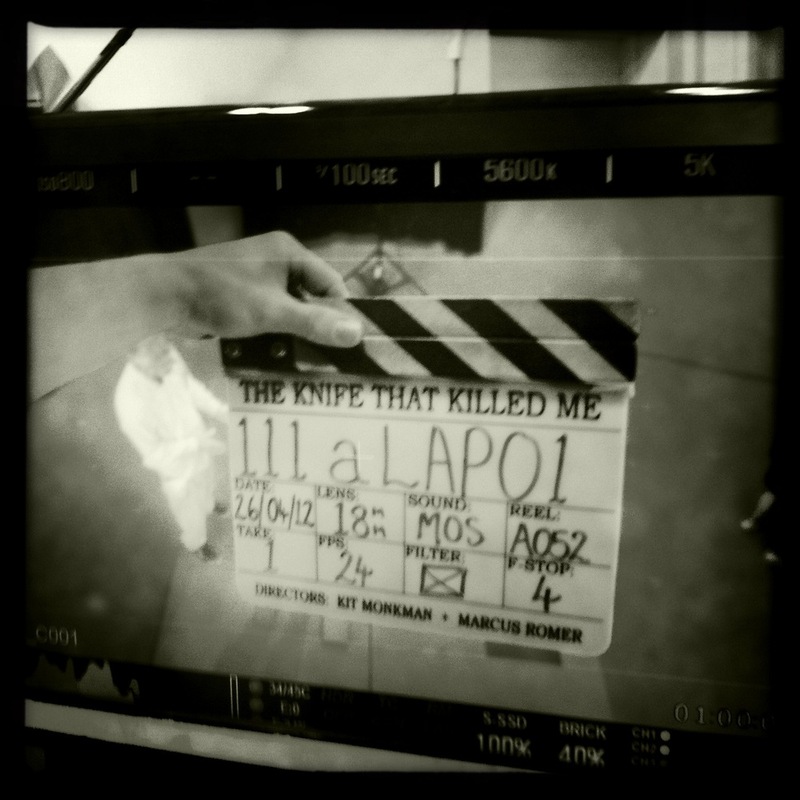 Day 12 #TKTKM and @tktkmfilm – Is it still Wednesday? Only, ths time. quality leek and pork – high quality bangers. 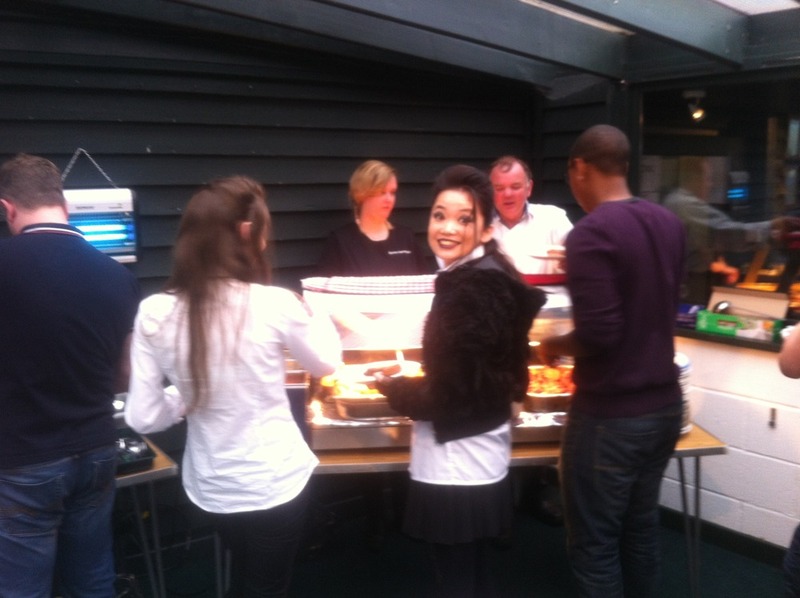 Hence Haruka Abe’s firm and positive grin on set today as we broke for lunch. It was great to have Maddy (Rosie Goddard) and Serena (Haruka Abe) back in the studio today. We managed to get finished on both the Mr Boyle and Mrs Eel scenes today. We welcomed onto the green Andrina Carroll as Mrs Eel – and she was brilliant today – and brought the scene with Paul’s fall to the floor to life today. So a big thanks to Andrina. 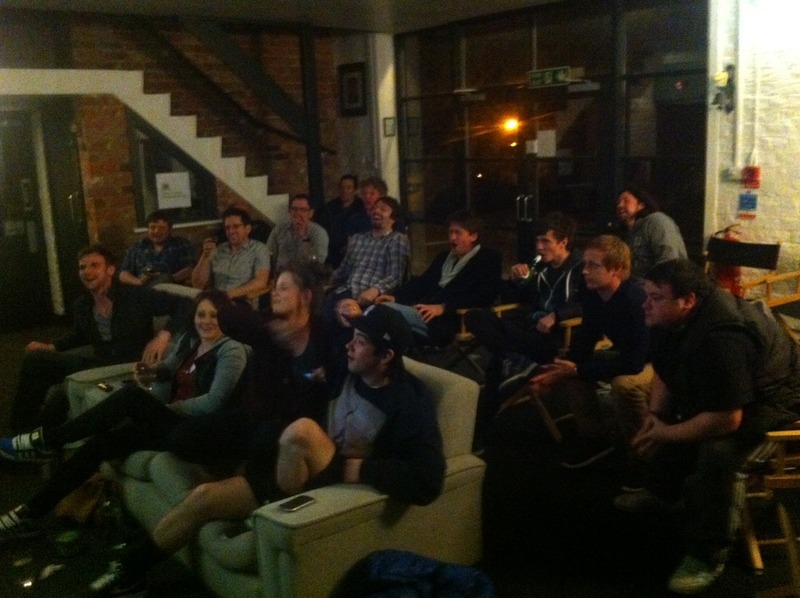 You can tell how well a company of actors is working by he games they create – off the ball. What I mean is that in the downtime moments, off set or off camera the games and rituals that are made can help define a project. 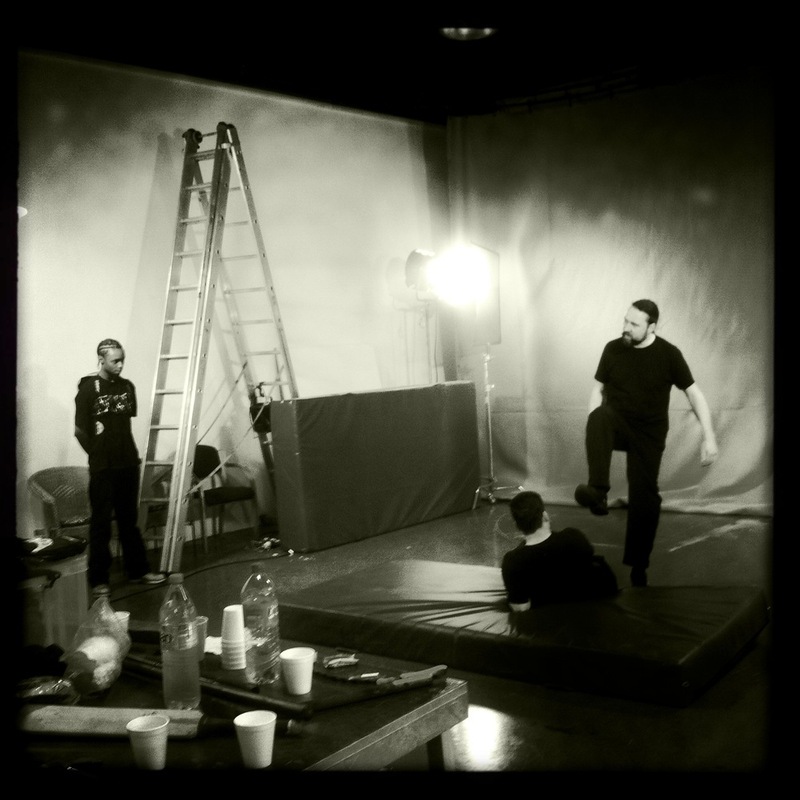 Here in the dance studio – which is our rehearsal room adjacent to the Green Screen Studio the actors rehearse and wait bewtween takes and set ups. It is our space and, apart from anything else – it has daylight, windows and fresh air. I came in today – as I always do at some point in the afternoon, they all pointed out, and flopped on one of the many prop sofas in there. But this time, instead of chatting I was suddenly aware of a serious shift of focus. 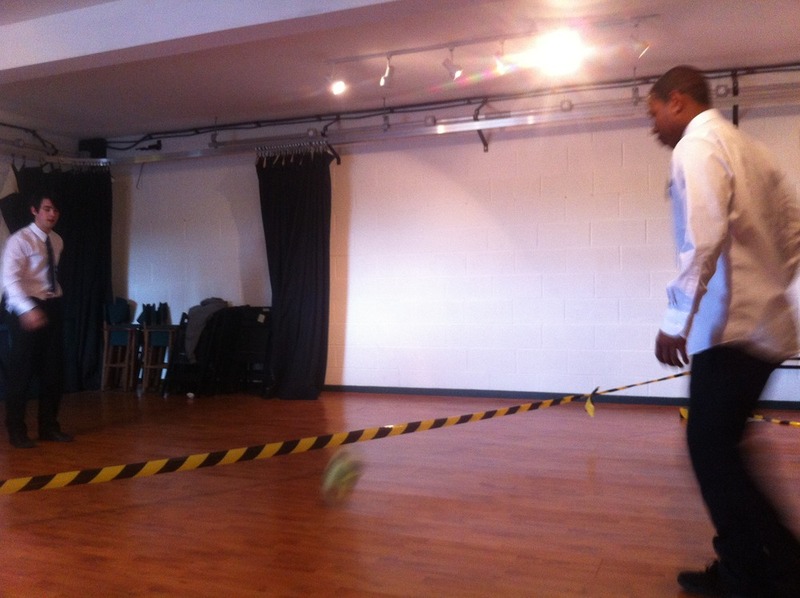 ‘Hazard Tape – Kick Ball Tennis’ – was now in full flow. And as you can see both Jack McMullen and Kerron Darby (Paul and Miller) are in full flow – at 30 all. Winner stays on – of course. But I now know that that this game is a serious challenger to the famous game of ‘wingball’ that was perfected over many tours by the numerous ‘Lord of the Flies’ casts.